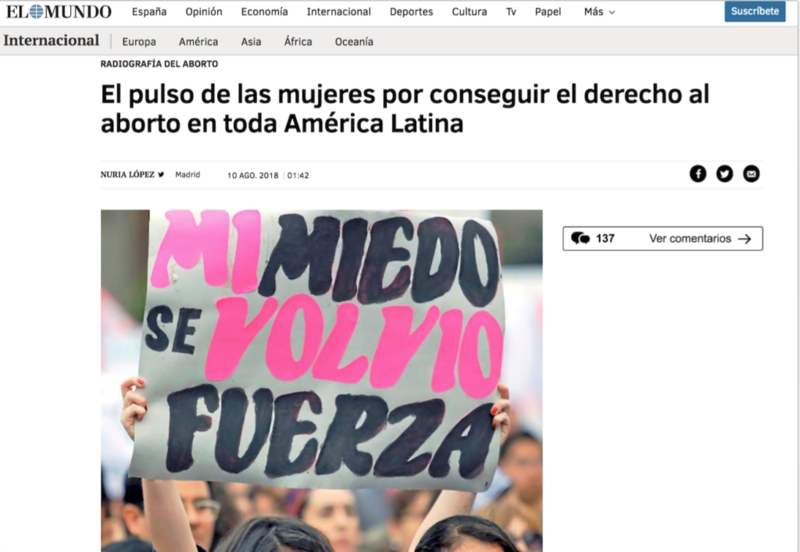 The project Decriminalization of abortion in Latin America is a collaborative and transnational research project that provides an overview of the situation of access to abortion in the different countries of the region and the state of women’s struggles to access their rights. It is a survey of the decriminalization process and the debates that are taking place in the countries of the region, and provides a general context and references to specific cases, in a concise and brief manner, in order to better understand the situation. Through the collaboration of journalists from different countries, it was possible to create content that clearly explains what happens in each country in relation to this matter, using local and reliable sources. The data is presented with visual complements: a map that summarizes the situation by country, illustrations and photographs. The content is written for web, in a simple and direct way, and organized with sections that allow a quick and clear reading and designed to be read on mobile. The content had a great impact after its publication. It was read by more than 7,000 people through the shorthand platform and widely disseminated in the region and the world through social networks. Relevant international media, such as El Mundo de España, Univision of the United States, Infobae of Argentina, and Cultura Colectiva of Mexico, used the content to generate notes, in the context of the pre-voting of the law of legalization in the Senate Argentinean. 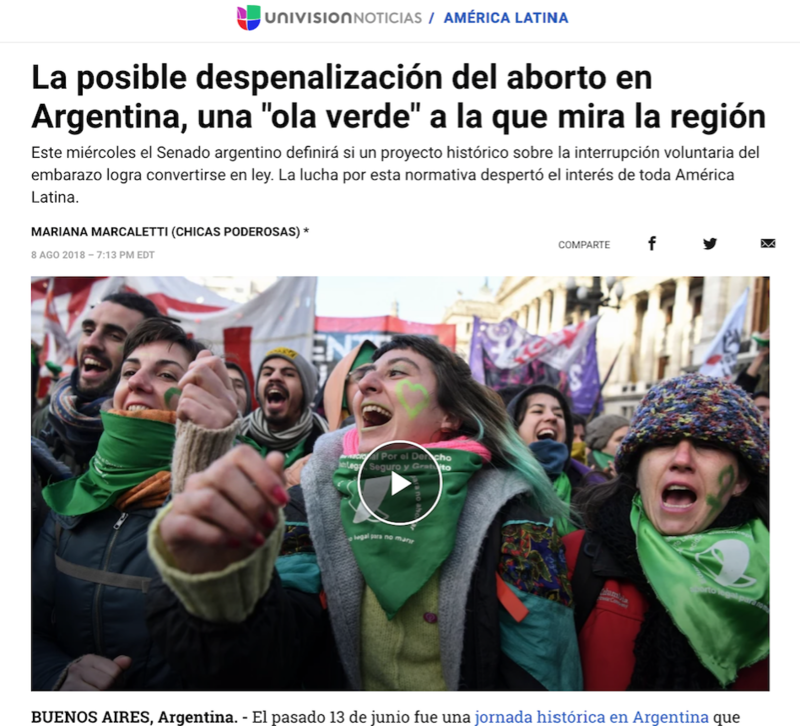 The proposal to create content collaboratively allowed it to be reproduced by several media from different countries, managing to broaden the public debate on the legalization of abortion in Argentina to the rest of the region. 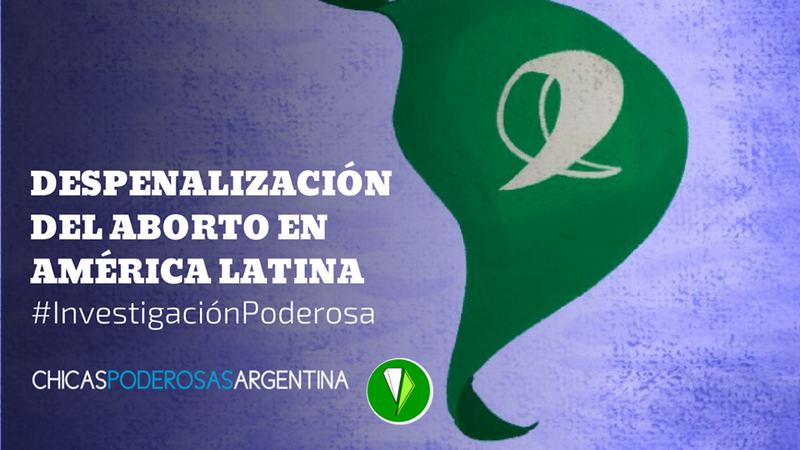 We investigated the situation of the decriminalization of abortion in Latin America in a collaborative and horizontal manner. In the team participated 27 communicators from 18 countries in a short period of time, to publish before the historic session of the Senate in Argentina, around the draft Law of Voluntary Interruption of Pregnancy. To be able to do this production, which revealed data of difficult access, on places where official information is scarce, we organize a new and scalable workflow for projects that involve many people from different geographical areas. The initiative came from Chicas Poderosas Argentina, with a focus on abortion, and we soon called on women from across the region. To begin, we made a form in Google Forms with key questions about the legal status of abortion in each country, the social context and figures on clandestine abortions, teenage pregnancy and comprehensive sexual education. Some questions were closed, with the purpose of composing a map of the region, of limited options; and others were more open, to understand the specificity of each place. In each response, they were asked to add a source and a link, so that the work is full of reliable data, and to rely on information instead of opinion. Once this form is created, we invite women from all over the region through email, social networks and community contacts. If there was not a Powerful Girl in that place, we asked for recommendations and we worked with journalists, communicators, activists and educators. Each one documented their country and we divided among the women of the central team (composed of journalists, internationalists, economists, designers) the responsibilities, to monitor and edit the information of each place. We assign a responsible person for a country or series of countries in a shared calculation form, in which we mark delivery time and color code the status of each piece (red: missing assign, yellow: in process, dark green: almost ready , green: ready). We had only three meetings in the whole process, which took just over a month, and were key for each stage: the first for the preparation of the form, the second to distribute responsibilities by country and the third to decide what form to give to all compiled material. We decided that, for a matter of time, the simplest thing was to adopt a “newsletter style” with an introductory paragraph on the situation of reproductive rights in each country, a brief clarification of context and some key points to understand the situation, with accurate data . We also added emblematic life stories in each country, to foster empathy with women who suffered first-hand the reproductive policy of their country. To get to know them better, we illustrate their faces and spread them on Instagram, Twitter and Facebook. We create cards for social networks with comparative information: if in the landing page we filter by country, in networks we concentrate on the coincidences and differences. Some people of the central team were occupied in the last days of the reading and edition of the information, to give a visual aesthetics and a narrative coherence to the whole work. The distribution strategy was orchestrated in a similar way to the production of the work: each woman who participated was the owner of the distribution in her country, through networks, mail and proposals for publication in local media. The impact on the site was impressive, more than 7 thousand views, and in networks it also meant a lot: several of our tweets came back viral. 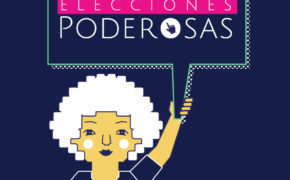 In addition, media such as Clarín, Univisión, Infobae, TKM, Uno, Cultura Colectiva, Mujeres en Lucha, El Mundo, Channel 26 Noticias, Sentimos Diverso, Radio Ambulante, Hivos Latin America (more complete information in this thread). We believe that the same plural and collaborative nature of the research made the distribution so organic, because it was created from different nodes and spread through those same channels of origin. We are very excited to see the interest of women in the region, given that it is difficult to find cross-cutting issues such as abortion explained with a regional point of view. We learned a lot during the process and we built a model that we will scale and perfect for our next investigations. El Salvador: A reporting on torture and women.